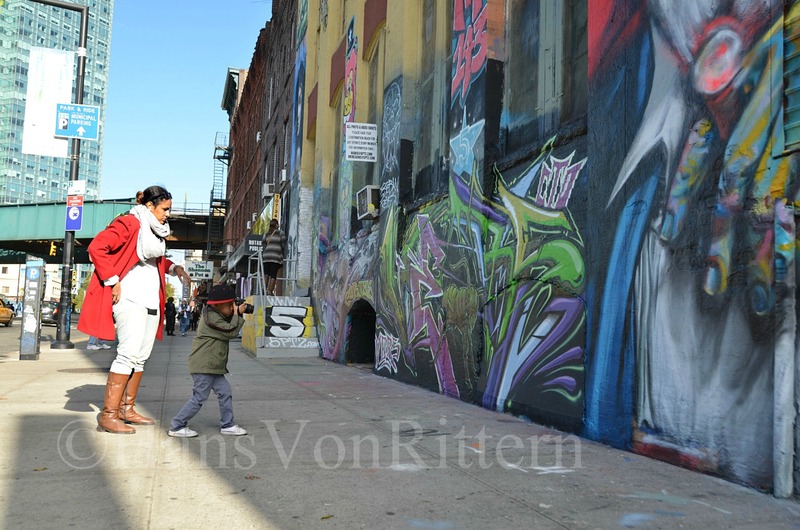 Photo of the day: THE DETERMINED PHOTOGRAPHER – I am going to post vintage photos of the 5Pointz graffiti museum this week, in honor of my upcoming participation in the ‘PHO-TO-GRAFFS’ gallery exhibit opening this Sunday, March 16, 3pm at Gold Coast Arts Center in Great Neck, Long Island. This photo was taken Sunday afternoon, October 13, 2013, thirty-six days before the unexpected destruction of all the artwork. Little did this aspiring and determined little photographer know, he was capturing a piece if history.